Run Time: 1 Hour This DVD covers the Walther P38 and the P1. For Armorers and New Shooters alike... The P38 was the first double-action pistol to be adopted by any army in the world. 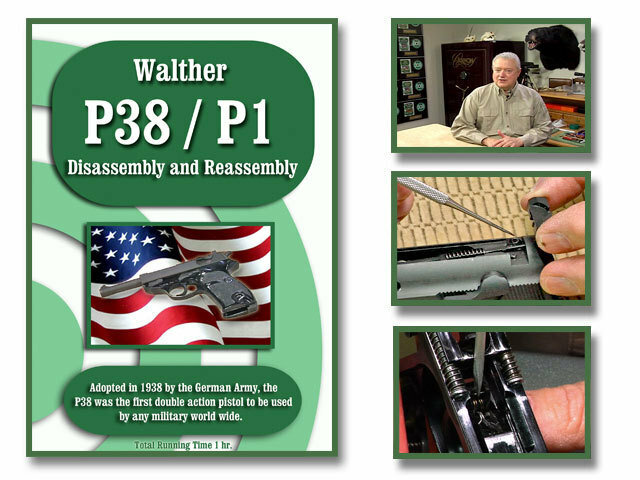 The information contained on this DVD illustrates the proper procedure to field strip or completely disassemble and reassemble your P38 with confidence. By utilizing the on-screen menu, you are able to select and review each of the steps to maintain and keep your P38 clean and lubricated and in top working order. On-Target's DVD's are digitally produced and provide clear and concise instructions. We at On-Target take great pride in the up-close videography of each DVD.